What is so naïve and insulting about this remark is that the President ignores the consequences surrounding Obamacare. While Americans were told that they could keep their current health care plan, they’ve now realized that they were victims to a total fabrication. 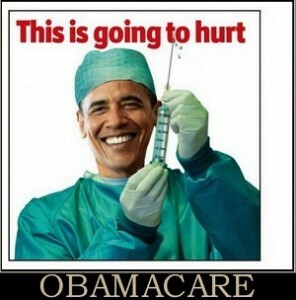 Many have had their plans canceled and now have to pay higher premiums due to the lack of affordability of Obamacare. It is unlikely that enthusiasm and support for Obamacare will escalate anytime soon. Less than a third of Millennials currently uninsured indicated that they will sign up for the exchange. 41% said that they are 50-50 right now about making a decision. Overall, Obama is now facing a 54% disapproval rating among youth, which is the group that vastly supported him and helped usher in his presidency. It is not surprising to see Millennials oppose Obamacare as emphatically as they are seeing that the job market cringes at the thought of more regulations. Just recently, the CBO indicated that roughly 2.5 million workers will leave the workforce due to the health care legislation. This compounds the economic woes that we are already facing today. Over 21 million Millennials find themselves taking up residence in the confines of their parents’ homes because of the lack of jobs. The primary focus of President Obama should be jobs and growing the economy. If the president really wanted young people to grow up, he should seriously consider allowing the free market to take its course and back off the idea that big government should serve as a nanny. We desire jobs and wages so that we can grow up and get out of our parents’ basements. The president should acknowledge this instead of cramming more job-killing regulations down our throats. Growing up, Mr. President, means admitting when you’re wrong. Who really needs to grow up?